Sam Savage, An Orphanage of Dreams. On January 17, 2019, the novelist Sam Savage passed away after a long battle with a respiratory illness. He was seventy-eight years old. Born in South Carolina in 1940, Savage was the fifth of seven children in his family. In his early thirties, he was diagnosed with an alpha-1 antitrypsin deficiency, which means he was missing a blood component that protected his lungs from attack by some of the body’s own enzymes. It was a death sentence, with varying consequences, including serious liver failure and emphysema. In a lengthy interview in 2015, he said that when he received the diagnosis he wasn’t sure if he’d be able to come back from it. But after attending both the University of Heidelberg and Yale, he eventually graduated with a degree in philosophy, and then he moved to France and made fitful stabs at writing fiction. In 1978, he headed home to South Carolina, where he lived for the next twenty-three years and raised two children. 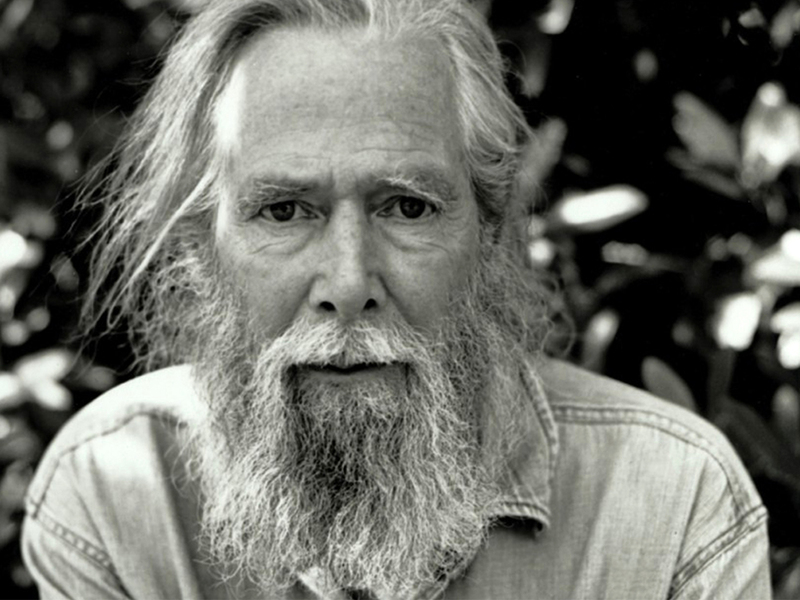 Savage said that during this time he “wrote doggedly, living all the while on my small income, occasional jobs, and the labors of my wife.” Over the years, he worked as a bicycle mechanic, a carpenter, a commercial fisherman, and a printer and a publisher of handmade books — and outlived his diagnosis many times over. Savage’s career as a writer came to him much later than it does for most. He didn’t find his true voice until he collaborated with Virginia Beverley on a short, playful entertainment told in verse called The Criminal Life of Effie O. (2005), a book he said was never meant to be published. But it was this small book that set Savage on course to write his novels, which consistently showcase a voice that is intense, vital, and dynamic. At sixty-five years old, Savage published his first novel, Firmin: Adventures of a MetropolitanLowlife (2006), which became an international bestseller. Masterfully told in a traditional realist style, it’s the biography of the title character, a rat who lives in a Boston bookstore. Firmin, a gifted and determined fellow, teaches himself to read, and adores the works of Joyce and Faulkner. But with the soul of a poet, Firmin longs to be part of the human world, and much of the novel is taken up with his attempts at human connection. Alas, the only language he speaks is, of course, rat, so true connection is impossible. The whole novel ends with a kind of vermin holocaust and the destruction of Scollay Square, once a real place in the city of Boston. For those who share Firmin’s conclusion that “dry and cold [is] the world and beautiful the words”, it’s an unsentimental yet commiserative tale. But lest you think Firmin is a young adult’s novel, note the little rat’s delight with his “angels” — winking, jiggly strippers — and his hatred for cartoon rats and mice. He’d gladly piss down Mickey Mouse’s throat, he says. Savage followed Firmin with The Cry of the Sloth (2009) and Glass (2011). Although narratively distinctive, these novels seem to have been set like opposing faces on a coin. The former is about Andrew Whittaker, editor of a small-time journal called Soap. 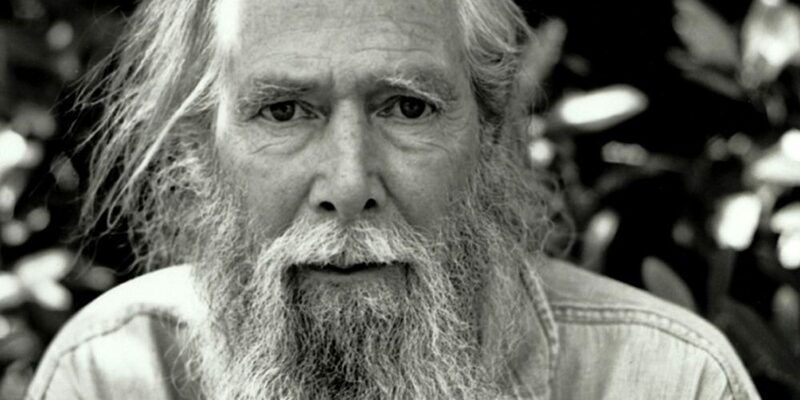 The novel comprises Whittaker’s rambling monologues, letters to his ex-wife, excerpts of his own fiction, diary passages, and grocery lists — detritus from a broken life, in a way. Glass is an effort by the wife of a deceased novelist to write a book about her husband, yet she drifts away from the original assignment pretty quickly to reveal the far more important story of her own life. Both of these novels, along with Way of the Dog (2012), Savage’s fourth novel, are examinations of deadened lives. The characters are coots and cranks who you cannot help but respond to and feel sympathy for. Way of the Dog in particular has a distinctive Notes from Underground vibe to it that both disturbs and enlightens. In it, the waning narrator sits beside a window in his grand old house — “the most inescapable sight in the neighborhood” — and remarks on the world as it goes by, dwelling over his past as a failed artist and critic. The novel is indeed a warning to those who would give their lives to another person’s vanity. Savage’s final novel, It Will End with Us (2014), is his most Southern. Given his origins in South Carolina, it seems odd that it would take so long for him to write a book about the South, so it reads as a kind of homecoming novel. In sparse, disjointed prose, Eve, the narrator, recollects the history of a self-important family’s decline. Its structure of short paragraphs operates like memory – flashes here, a short scene there. However, through her cyclonic recollections, Eve eventually reaches the inevitable declaration that “one can’t put everything into words”. 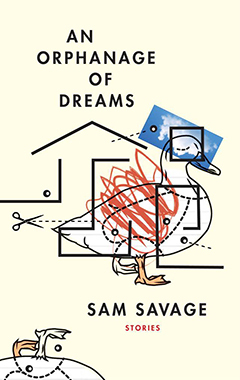 Along with these concise yet robust novels we now have Savage’s final book, An Orphanage of Dreams, an elegiac collection of trim stories that is at times humorous and mischievous and at others bleak and illusory. Most of the stories come in around five to six pages in length, with some as short as a page and half. As its title suggests, An Orphanage of Dreams has a grab-bag composition, but there are a few consistent themes in these eighteen stories (plus one comic sequence of poems). Roughly broken into categories, its subjects are marriage, animals, religion, and isolation. Its characters are men and women (animals, too) who often hold narrow views, with a penchant for self-deception and a willingness to dwell in places of stasis and immobility. All of them teeter between the terrifyingly quotidian and the joylessly surreal. ‘Crocodiles and Parasols’ and ‘The Awakening’ continue the theme of existential inertia. In the first, the characters are given a kind of prisoner’s dilemma: cross an endless desert or swim a river perhaps patrolled by crocodiles. And in ‘The Awakening’, which tilts Beckettian, we meet a character who was “on the point of departures when [he] began to stay.” The man is supposed to leave his flat, he even packs his bags, but cannot bring himself to step outside because he has to make sure he has unplugged the toaster oven which no longer turns off automatically, and then, fearing rain, he stays longer, and now he’s late for the bus, so, oh well, he might as well stay another day. Wake up, the story clearly pleads, or you’ll forever let little things block your way. An extension of the theme of life-deadening torpor is Savage’s exploration of loneliness and the failure to connect with others. Characters often fiercely hold onto any semblance of connection they might have, no matter how tenuous or ephemeral. ‘Cigarettes’ and ‘Klatsch’ are two examples of stories in which Savage wrings honest pathos from a character’s solitude. In the first, a lonesome narrator’s daughter hates her father’s smoke, hates that it gets into her clothes, and so never comes to visit. The narrator befriends his landlady because she smokes, too. He doesn’t particularly like her, yet he holds onto the relationship. He describes the tedious, smouldering evenings with the landlady as nights spent with “the two of us not exchanging a word, just smoking — that’s as good as it gets.” And in ‘Klatsch’, a man’s Sunday morning coffee klatsch abandons him. “He was never absent,” Savage writes, “the one person who had never missed a klatsch, because living alone, having no family nearby, he had nothing better to do on a Sunday morning.” It’s a measured portrait of small-time betrayal that leads to full-on panic. Among the tales of aloneness and languor, Savage includes stories and vignettes about failed religious cults and anthropomorphic animals. Although they are short in length and often loosely conversational, Savage delivers enough to make the characters recognisable. They are flawed, idiosyncratic, and all too human — even the animals. And ‘Duck’ — my favourite story in the collection — is the one that best encapsulates all this human failure; it’s a story I’ll return to, and the one I’ll remember most fondly when I think of An Orphanage of Dreams. Typed out, single spaced, it might not fill a page, but it’s funny and dances smartly like a Wittgensteinian word game, seeming to explain humanity so clearly that one cannot help feeling edified by its conclusion. Perhaps another reader would know what these men are doing. Perhaps I’ve not worked enough jobs to know what a “duck” is. But, taken figuratively, this occupation seems dreadful and soul crushing. Giving a living thing a false or misleading name invariably leads to objectification. It’s never “just words”. Savage leaves it to our imagination to ponder what these “ducks” are. Could they be chickens, pigs, cows, emus, people? Add to these questions the narrator’s complacency, and you have something, in my estimation, close to one of our greatest flaws. The stark illumination of our flaws is part of Sam Savage’s gift as a writer; he is always willing to show us to ourselves without mercy, to put us on the spot. His stories prompt in readers an unspoken question: if we were in these characters’ circumstances, would we act any differently? The answer he often suggests can be confronting. Much like Savage’s novels, An Orphanage of Dreams is full of worthy descriptions of the human condition, in all its strangeness and warped desires, most of which can be distilled to something like: accept me, love me, don’t betray me, I’m lonesome. Most effectively, it is populated with frustrations and attempts at reconciling with frustrations. The stories often snap off at the exact point where the reader can foresee their likely conclusions, and generally they tend towards the absurd, the tragic, the incongruous. In other words, they tend towards their characters’ clear and inevitable surrender to a life unwanted — something Savage knew a great deal about. But then, as it is said of the hero in the final sequence of poems, “He has gotten used to things as they are. / If one day they start to make sense / he will be completely bewildered.” Those are the words of a formidable voice. The voice has fallen silent, but we should be grateful that the words echo on.